This has nothing to do with SEO. 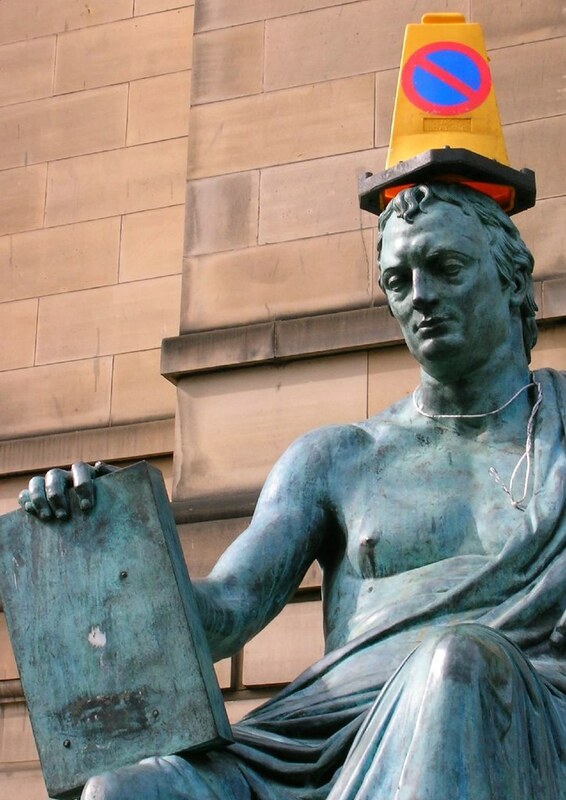 It’s David Hume with a traffic cone on his head and an iPad classic. He’s my go-to favourite philosopher. Top 3 material, certainly. I’ve had the domain registered for a little while. I’m finally making the leap with a website linked to me, rather than an anonymous-ish test site. I’m not sold on this theme, but will probably grow to tolerate it until the need to procrastinate takes me or the ‘always-align-center’ thing drives me nuts. Currently this might as well be a Tumblr. I work in SEO, and as a result this blog will probably be mostly SEO. As of this post, I’ve been working at an agency for eleven and a half months, meaning I’m due a cake or something soon. My background isn’t technical, but in philosophy. Don’t take the ‘working agency side’ thing as an indicator of knowing loads of stuff, though. I’m on twitter @ohgm, and haven’t really done G+ properly. There are other ohgm’s currently ranking. I’ll be interested to see how this post does – when will this website outrank the .org and .net? How much love will it need to outrank the semi-associated Twitter or the Slideshare profile? Will I have time to give it the love it needs (answer: probably not)? I haven’t even installed analytics yet, but I have begun writing two more posts that are actually about stuff. The fear that people might actually read what I write is pretty terrifying. Incidentally, I’m going to a conference for the weekend now, so I won’t be publishing awkward posts for a little while now. Hitting publish now.